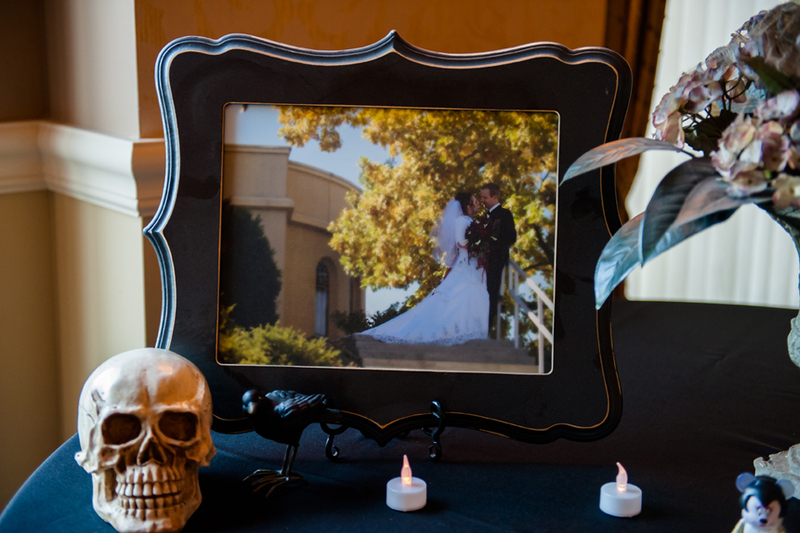 We had our wedding album and a print from our our wedding, we looked like babies! 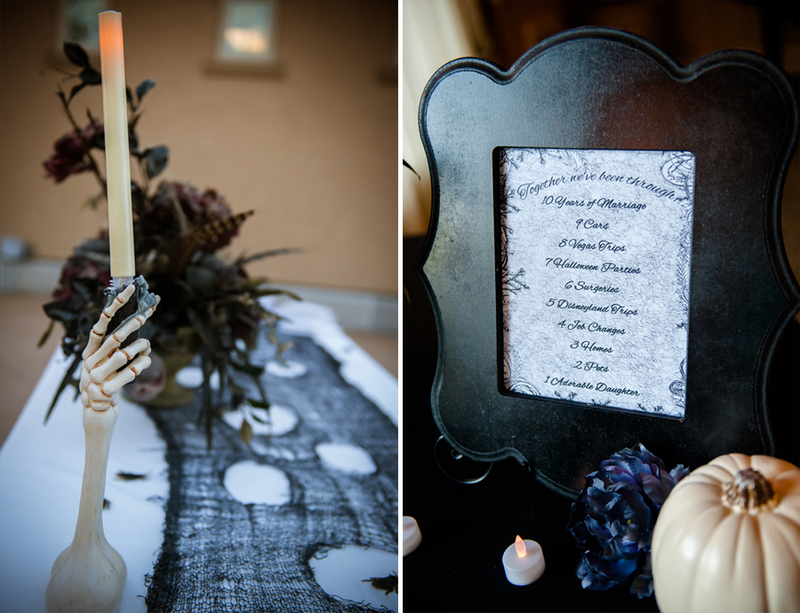 I wanted to have a Haunted Mansion feel to inside, creepy but still elegant (If Halloween can ever be!) 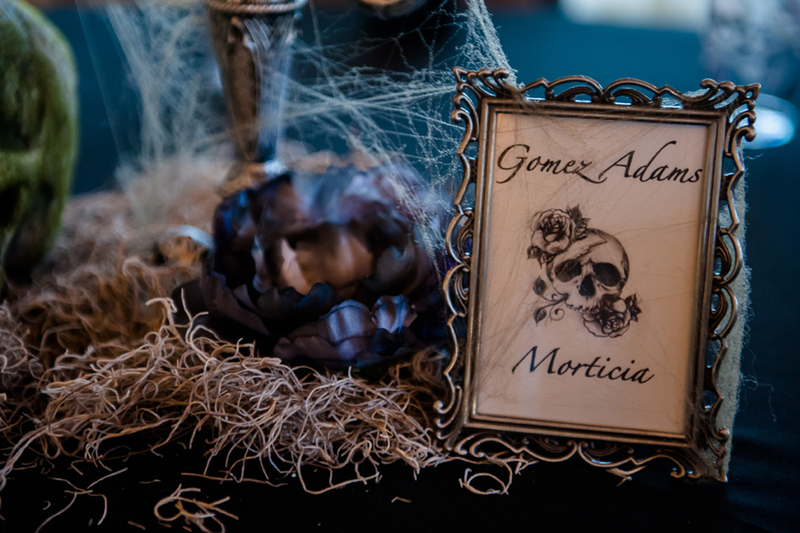 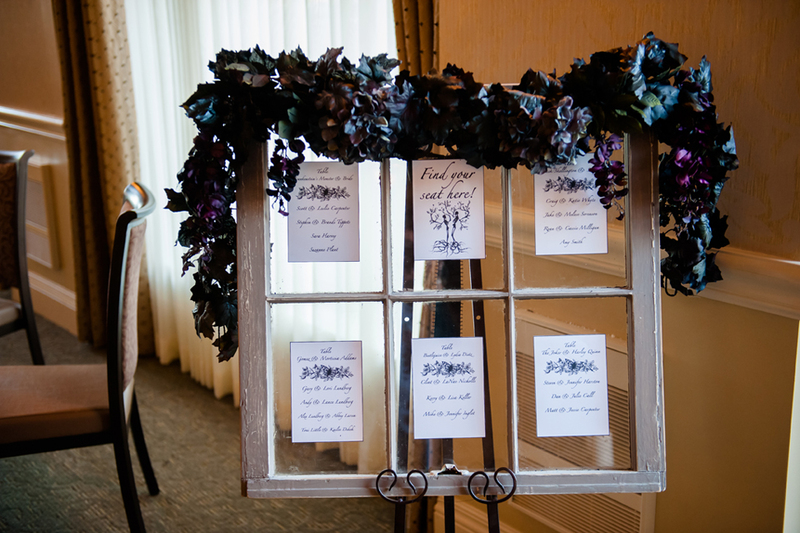 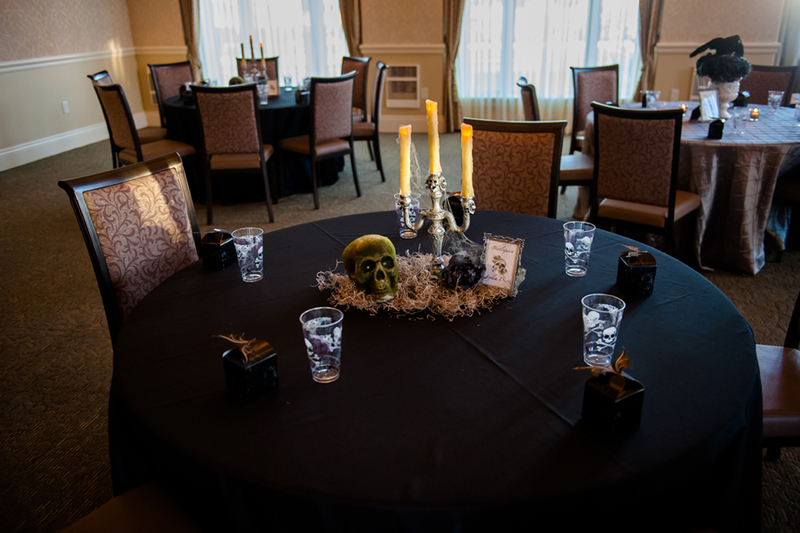 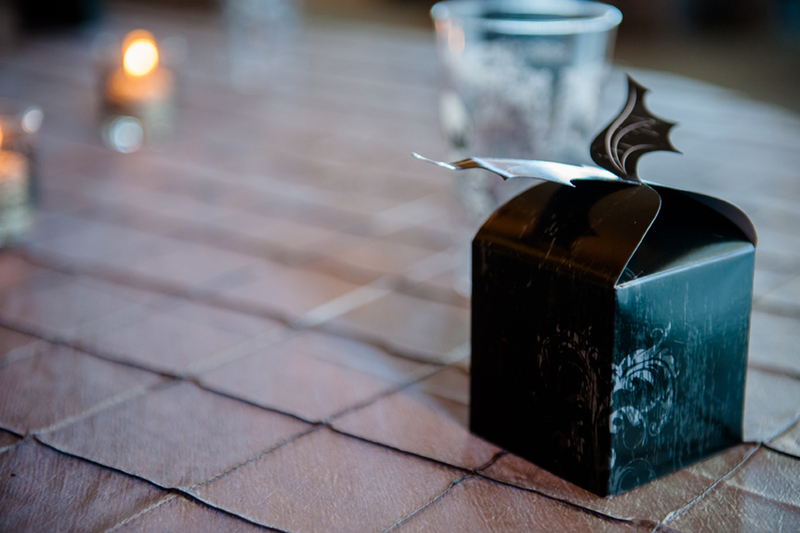 I had a mixture of black and silver tablecloths as well as centerpieces. 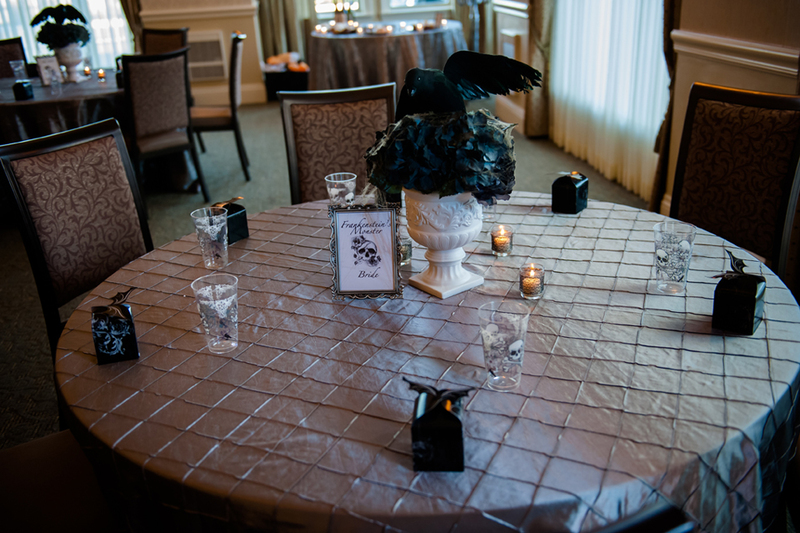 Half of the tables has these floral centerpieces topped with the ravens. 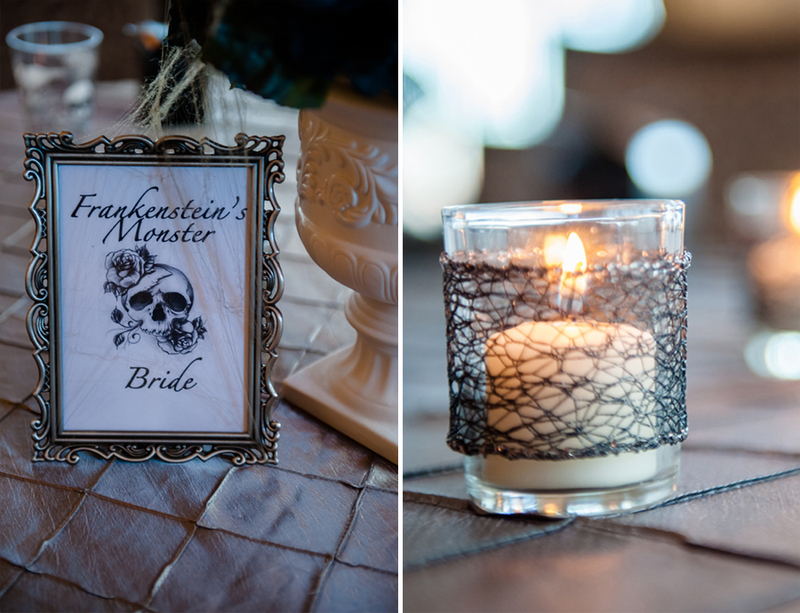 The votive candles came from our wedding but I found this awesome ribbon that reminded me of spiderwebs so I wrapped them around each votive and it completely changed the look of them! 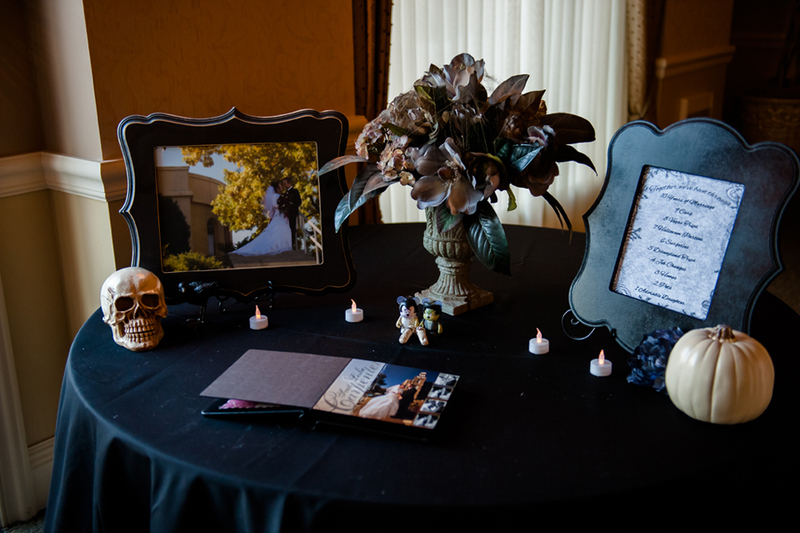 The floral centerpieces were purple and blue silk flowers I got on clearance and gave them a dusting of black spray paint to bring the vibrancy down and give them that dead look. 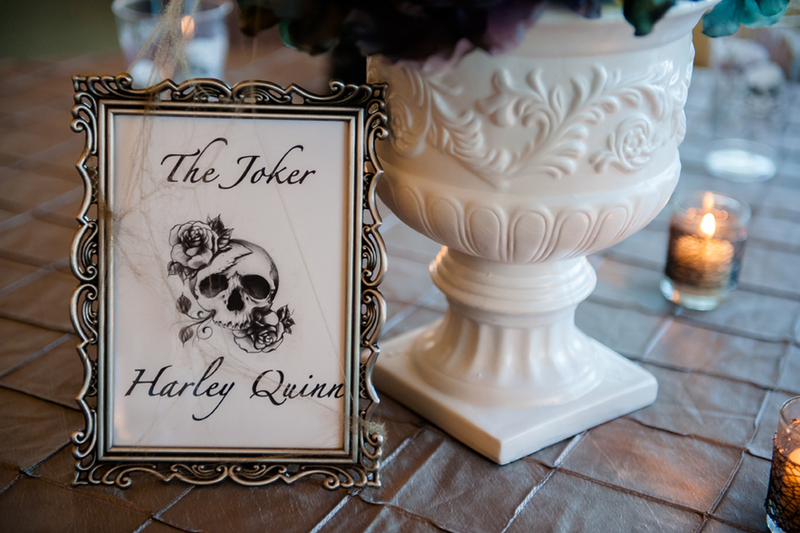 The vases came from our wedding that I painted white to offset all the dark colors. 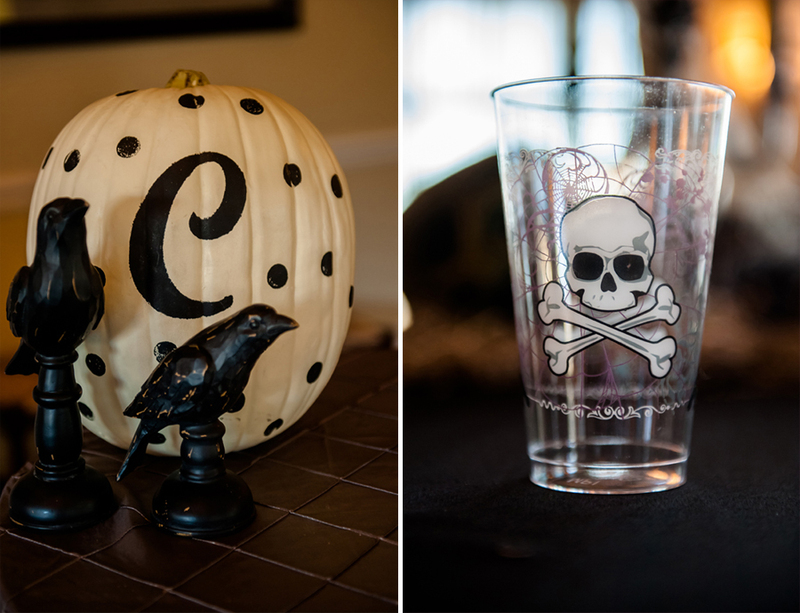 I finished it with brown cobwebs and the raven from Spirit Halloween. 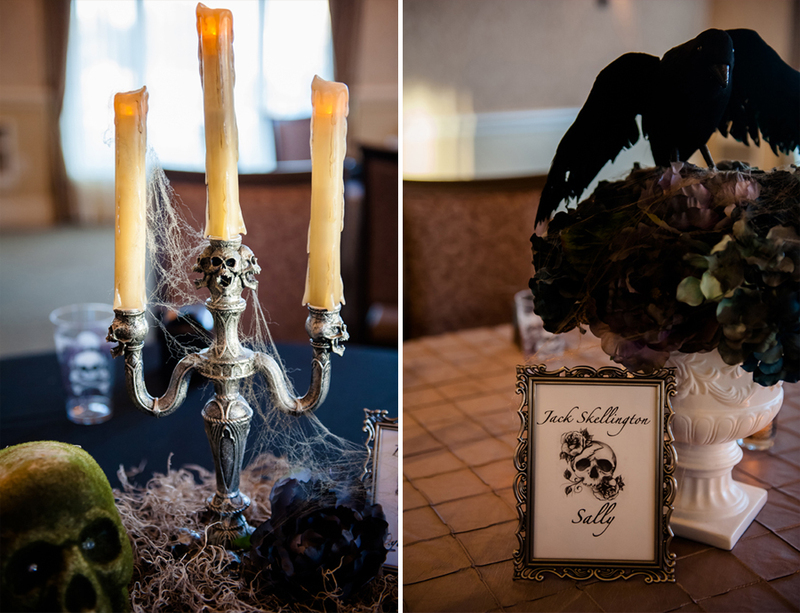 The other half had skull candelabras along with a moss covered skull and spanish moss. 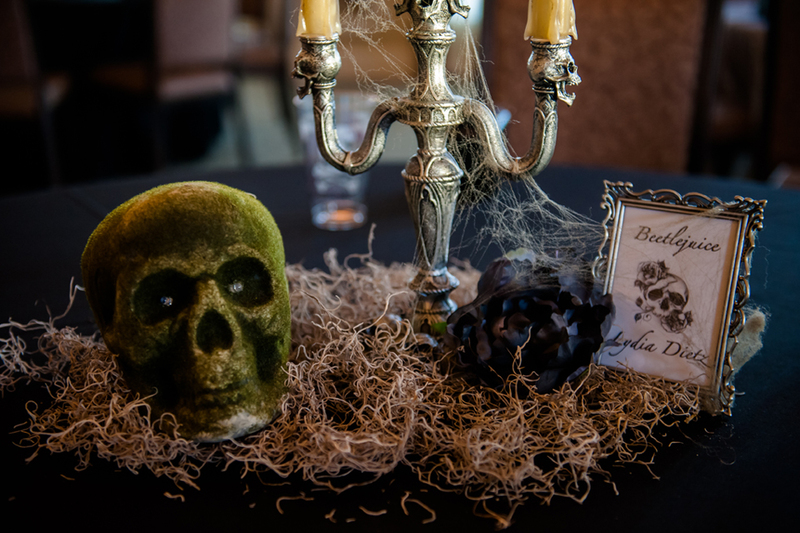 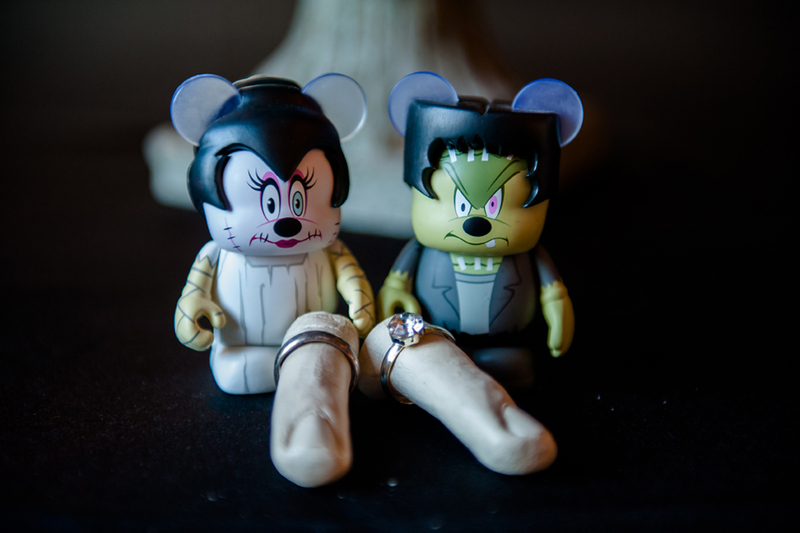 The skull candelabras and moss skulls came from there Spirit Halloween as well.